Why Do Certain Countries Take Longer To Clear New Player Bonuses? 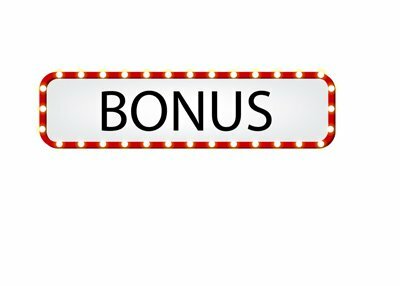 If you've ever read the fine print on casino bonus offers (especially new player bonuses), you'll know that in most cases, bonuses take longer to clear if you live in certain countries. For instance, a person living in the United Kingdom might just have to wager the amount of their deposit/bonus 20 times in order to fully earn a bonus. If you live in a country such as Finland or Romania, however, you might find that you will need to wager the deposit/bonus as much as 200 times before fully earning the bonus. To take it one step further, a person living in a country such as China or Thailand or Russia might be excluded from getting the bonus altogether. Why do casinos take this stance against people from certain countries? Why isn't every country treated the same way? 1) Fraud rates. The rate of fraud in a country such as Romania is much, MUCH higher than the rate of fraud in a country like the United Kingdom. By making the bonus much harder for clear, a company will have more time to detect fraud and ban the account. 2) Account values. An account that is based in the United Kingdom will be worth much more to an online casino company, on average, than an account that is based in a country like Argentina. Bonuses are expensive to pay out and in order to maximize their profits, online casino companies will make it harder to clear a bonus if you live in a lower value country. 3) Account servicing costs. To be honest, accepting accounts from certain countries just isn't worth it for online casinos, as they will pay much higher fees to process deposit/withdrawals, there may be communication issues to deal with, etc. Many online casinos would rather focus on a narrower range of countries to target. If you need to clear your bonus at a much higher rate than a person from another country, don't take it personally - online casinos have very good reason to implement this policy.